THE PILATES STANDARD Studio Apparatus Training is the most comprehensive program available today. Ready to move forward... LEAP is the program for you. Siamo un team di insegnanti riconosciuti e rispettati a livello internazionale con l'obiettivo di onorare il metodo originale di J.H. con sapienza. Attraverso l'insegnamento del metodo originale e dei principi di biomeccanica del corpo umano, i nostri insegnanti avranno una comprensione approfondita del metodo Pilates e sapranno aiutare i propri studenti a progredire in modo efficace. Attraverso i molteplici anni di esperienza e l'elevata competenza del suo team composto da medici, fisioterapisti, esperti di movimento, ballerini e atleti, THE PILATES STANDARD vuole trasmettere l'eredità lasciata da Joseph pilates Pilates nel migliore dei modi. Il nostro programma di formazione comprende l'insegnamento della sequenza di esercizi classici sia al mat che agli grandi attrezzi, la conoscenza dell'anatomia e della biomeccanica ed il trattamento dei casi speciali (sintomi e patologie particolari). La formazione attrezzi (Studio Apparatus Training) THE PILATES STANDARD è il programma più completo disponibile sul mercato. Il corso della durata di 9 mesi richiede 450 - 600 ore di pratica. Il programma di formazione comprende esercizi di tutti i livelli (Intro, Ideal, Challenge) sia al Mat che agli attrezzi quali Reformer, Cadillac, Chairs, Barrels, Ped-o-Pull e Magic Circle. La formazione può essere seguita anche in 12 giorni intesivi. Il programma di formazione Studio Apparatus si pone come obiettivo di formare professionisti capaci di insegnare lezioni di Pilates a clienti di tutte le età e livello e di programmare in modo sistematico una lezione utilizzando gli attrezzi e i principi del Pilates conformi ai livelli INTRO, IDEAL E CHALLENGE. 6 weekend intensive (1. Livello FIRST TIMER, 2. Livello INTRO, 3. Livello IDEAL, 4 Livello IDEAL, 5. Livello Ideal e fondamenti di anatomia. 6. livello CHALLENGE 6) 24h d'incontri con lo studente 450 - 600 ore di osservazione in uno studio affiliato o approvato da THE PILATES STANDARD (le ore di osservazione iniziano dopo il primo weekend di corso) THE PILATES STANDARD si riserva il diritto di decidere il numero di osservazioni richieste da ogni studente. E' richiesta inoltre la partecipazione ed almeno 1 classe di Pilates a settimana (THE PILATES STANDARD può variare il numero di ore di formazione di ogni studente), l'insegnamento di almeno 1 lezione principianti (in uno studio riconosciuto). Durante la formazione studio apparatus THE PILATES STANDARD è richiesta 450 - 600 ore di osservazione prima di sostenere l'esame finale. Il numero esatto può variare da studente a studente in relazione alla sua preparazione. Non paragonare te stesso ad altri studenti. Dopo il primo weekend potrai iniziare le ore di osservazione. Dovrai consegnare la lista di ore d'osservazione allo studio in cui le effettui. La durata del corso è 9 mesi. Nel caso in cui dovessi estendere la data di completamento del corso, il costo dello stesso potrebbe aumentare di 150 euro/mese. 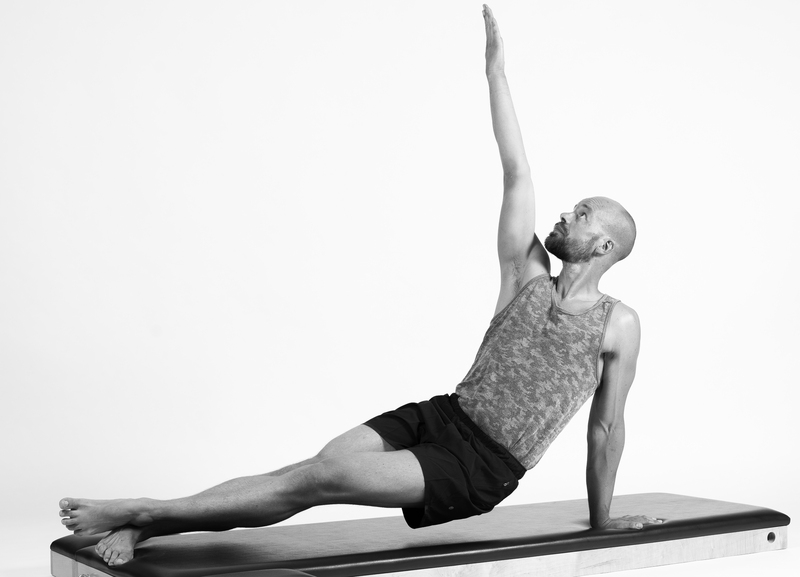 Applicare i principi base del Pilates negli esercizi di livello INTRO, IDEAL e CHALLENGE. Imparare a gestire i casi particolari "Special Needs"
E' necessario aver effettuato un minimo di 25 lezioni sugli attrezzi in uno studio affiliato THE PILATES STANDARD o presso uno studio riconosciuto. Durante la formazione Comprehensive è necessario completare 450-600 ore di osservazione. Partecipare ad almeno 1 classe di gruppo a settimana e ad un incontro a settimana. Dopo aver passato l'esame riceverai il certificato Mat THE PILATES STANDARD e verrai automaticamente inserito sul nostro sito come insegnante Mat e potrai insegnare. in caso non passassi l' esame, puoi riprovare nei 3 mesi successivi. la prima prova è gratuita. la 2' prova da effettua entro 2 mesi = 100 euro la 3' prova da effettuare entro 3 mesi = 100 euro. I futuri studenti interessati ad intraprendere il percorso formativo proposto da The Pilates Standard inizieranno a capire quanto appreso solo alla fine del percorso di formazione. L'aggiornamento continuo ed il miglioramento delle proprie prestazioni fisiche sono parte integrante della formazione di un insegnante di Pilates. Solo un insegnante motivato sarà in grado di ispirare gli altri. Per mantenere la certificazione Comprehensive THE PILATES STANDARD è necessario ottenere 15 CEC ogni 2 anni. When it is time to renew your Certificate just email us on office@thepilatesstandard.eu with your name and subject "Renew Certificate", write if it is Matwork or Comprehensive certificate. When the renewal is approved you get an email notification and then a printed Certificate will be send to your address. The purpose of the Reformer on the Mat is to learn how to incorporate the exercises normally practiced on the Reformer and teach these exercises within the framework of a Mat class. This class challenges concentration and control as it demands one to remember the Reformer order and execution of the exercises without the aid of the Reformer or the spring resistance that it provides. The purpose of the Challenge Mat with Small Props workshop is to instruct how to teach a Challenge Mat class and incorporate the use of the Magic Circle or small weights into the class. These Small Props are a great way to add variety as well as a challenge to the already familiar exercises. This course will demonstrate how the uses of these Small Props will assist, enhance, as well as challenge the exercises and how to keep a fluid flow throughout the workout. To add spice to the Mat class, or as Romana used to say "to present another challenge", we add the Magic Circle to the exercises. We explore how to gradually introduce the MC to a few exercises first, until with practice we end up with pretty much the whole Mat vocabulary and the circle! In this workshop we instruct how to teach a challenging Mat class. We cover and review in detail, all the exercises that were created, by both Joe and Romana, for the Mat. The purpose is to familiarize the teachers and clients with the complete vocabulary that Joseph Pilates created for the Reformer. We also will drill the appropriate transitions within the original, archival order, how Joe sequenced his exercises. The goal of this workshop is to learn a variety of ways to challenge a client who has already a solid grasp of the basic exercises on this apparatus. This to promote a deeper understanding and appreciation of the method . 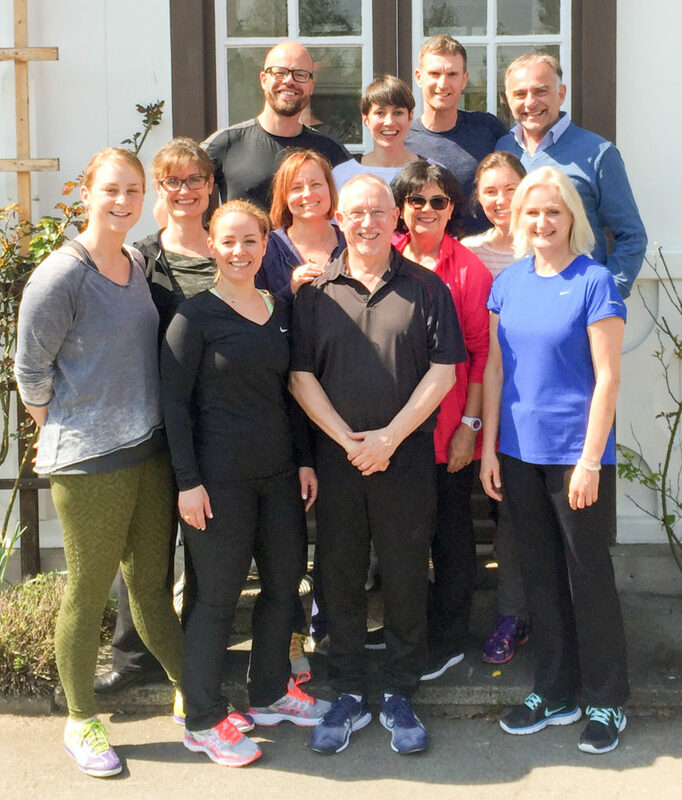 The objective of the Complete Reformer Sequence Workshop is to examine the original and complete order of exercises that Joseph Pilates always taught on the Reformer. structure a sequence on it. This workshop will have you jumping! The objective of this workshop is to review all exercises created on the Cadillac. We progress from basic vocabulary, fit for all students, to the more demanding exercises and their variations. The purpose of the Tower/Guillotine and Pedi-Pole Workshop is to review the exercises taught on these pieces of equipment. This workshop gives Progressions to the familiar exercises to challenge the same basic exercises giving the client a deeper understanding and appreciation of the method. The objective here is to learn how to structure an hour long class on this equipment. This workshop will explore how to design a challenging class that flows through a sequence from lying down to seated and eventually to standing upright. We tech the client how to build an hour long workout on , what Joe himself called the "home Reformer ". This workshop will show you the possibilities towards building a logical sequence, from a more stable platform to an unstable step. The objective of the Chair Progressions Workshop is to review how to incorporate both the High Chair and Wunda Chair into the individual needs portion of a client’s session. This workshop will show how the exercises on the Chairs relate to one another and how to progress from the more stable and supportive High Chair to the less stable surface of the Wunda Chair. This tactic allows for the client a deeper experience and understanding of their body with regard to the central principals of the Method. The three Barrels Joe build allow for a progressive larger opening stretch of two very thight areas. We are talking about the hip-pelvic area and the shoulder girdle. This workshop will review all exercises on all barrel shaped equipment. This workshop will review all the exercises on the Ladder Barrel. The exercise will also review how to incorporate the full Powerhouse Actions necessary to enhance the workout on this apparatus. Although our primary tool to communicate with our students is our voice, there is a lot of teaching power in the experience of an informed hands-on approach! This workshop will offer you various ways to let your hands " do the talking ". In this workshop we study the universal principles of the human body in motion. We first look at the principles and how they align the body towards its optimal Blueprint . We then address in sequence all necessary actions of these principles to achieve efficiently the intent and goal of all exercises in the method. not only on the Reformer and Mat, but also on Wunda Chair and Cadillac. created towards an optimal control in practicing the Method. with anatomy. And it is always a good review to go back to basics! To be active during the pregnancy plays an important role to both health condition and wellbeing. A pregnant woman that works out tends to have a smaller weight gain, faster weight loss after the pregnancy, a better sleep pattern and a more stable state of mind. Some studies shows that women who where physical active during pregnancy had a faster childbirth and needed less pain-relieving medication and that they were using less amount of epidural anesthesia and didn ́t need cesarean section as much. With our Pilates training we aim to keep the strengh, our own body support around the pelvis and torso. To be one with the balance changes that happens constantly in the body during pregnancy. A workshop on how to work with the Elderly clientele. We learn more about Osteoporosis hip replacement but most and for all how to take an elder person safe through a session. but also the Reformer options, the Magic Circle, the Wall and the Pedi-pole . The Small Gadget Review workshop will go over the exercises on the often underutilized smaller apparatus such as the Foot Corrector, Toe Corrector, Magic Circle, Bean Bag, and Breath-a-Cizer. 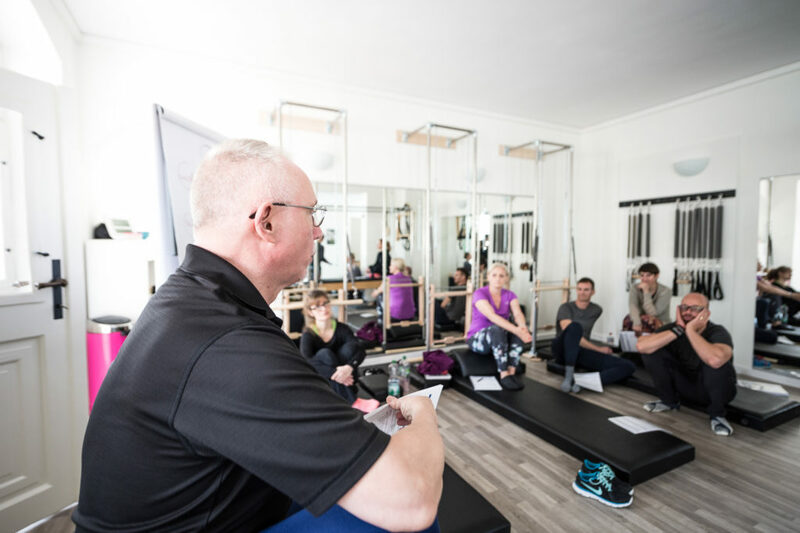 This workshop will examine how these small pieces of equipment can assist the individual needs of the clients and shows just how deep Joe’s method is in understanding the intricacies of the interconnectivity of the entire body. The Powerhouse Actions workshop will review the idea of “The Powerhouse” and what we now define as a progression of correct Actions. This workshop will deepen the understanding of this dynamic concept of the five levels of Actions within the body. We learn how to introduce and layer each Action one at a time. These Actions are taught in a progressive challenge. The depth and richness of the method lies within the understanding of the Powerhouse Actions and how they apply to all the exercises all the time. The purpose of the Classical Pilates: Its Integrity and History Workshop is to review the history of Joseph Pilates and his legacy. This workshop will examine the method created by Joe as well as his original intent and principles and how they have been handed down by his first generation of teachers. The goal of the discussion is to honor the original method of J.H. Pilates and uphold the standard of his work thus ensuring his legacy. The objective of the Classical Approach to Injured or Special Cases Workshop is to review the needs of these individuals as well as the appropriate exercises and modifications that will be beneficial to them. This workshop will review the movements that are contraindicated for these individuals as well as emphasize how amazing the diversity of all the Pilates equipment is and how it allows for a safe, fun, and challenging full body workout even when having to avoid certain movements. How to challenge and take your clients further and deeper into their awareness of their body movement and the classical method of Pilates. We want to make them familiar with a terminology and teaching philosophy that involves the five Power House actions. This actions gives everyone a new in- depth understanding of the method and the body itself. It will give you, the teacher a way to approach and challenge you clients on different levels. Il LEAP è un programma di continuing education della durata di 14 giorni (3 moduli). Due moduli da 5 giorni e l'ultimo modulo di 4 giorni che include presentazione e mentoring. Studieremo in profondità gli esercizi del "Secondo Manuale". Che significa l'intero syllabus di esercizi del metodo. Per chi è il LEAP? Il LEAP è per te, insegnante con almeno 3 anni d'esperienza d'insegnamento. Che hai effettuato un programma di formazione Comprehensive (MAT e Attrezzi). Che desideri una nuova sfida, crescere come insegnante, sapere di più sulla storia di Joe, sugli Attrezzi, gli esercizi. Che vuoi approfondire il mondo del movimento, l'anatomia applicata e i principi del movimento. Phoebe Higgins sarà trainer e mentore del programma. Un certificato di partecipazione verrà consegnato al termine dei 3 moduli. THE PILATES STANDARD shared a video. THE PILATES STANDARD shared an album: Pilates Archival Photos. THE PILATES STANDARD shared a post.